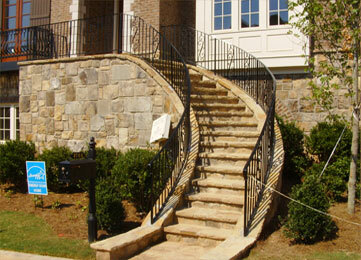 Builders Steel Supply has been serving the Atlanta and surrounding areas since 1969. With over 40 years of experience in Structural Steel and Ornamental Iron Fabrication. Builders Steel has become known as one of the premier Structural Steel Fabricators in the North Georgia marketplace. Started on 1969 and founded on the principals of continuously providing quality products and superior customer service to the markets that we serve. Builders Steel Supply currently occupies and operates in a fabrication facility that is over 25,000 square feet and is centrally locate in downtown Lilburn, GA. The facility has the equipment and capabilities of handling a wide range of projects from small in scope too multi story facilities. The Company strives for excellence in product to market, first in class customer service and providing a work environment that is conducive to employee retainage and offers continue growth for all of our family members.